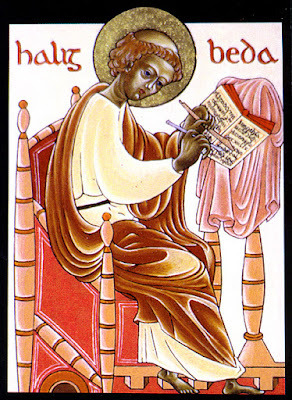 Saint Bede was ordained as a deacon when he was nineteen in 692, and to the holy priesthood at the age of thirty by Saint John of Beverley (May 7), the holy Bishop of Hexham and later of York. Bede had a great love for the church services, and believed that since the angels were present with the monks during the services, that he should also be there. “What if they do not find me among the brethren when they assemble? Will they not say, ‘Where is Bede?’"
Bede began as a pupil of Saint Benedict Biscop, who had been a monk of the famous Monastery of Lerins, and had founded monasteries himself. 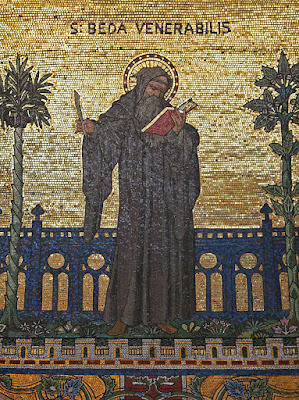 Saint Benedict had brought many books with him to England from Lerins and from other European monasteries. This library enabled Bede to write his own books, which include biblical commentary, ecclesiastical history, and hagiography. Bede was not an objective historian. He is squarely on the Roman side in the debate with Celtic Christianity, for example. He was, however, fair and thorough. His book Ecclesiastical History of the English People, derived from “ancient documents, from the traditions of our ancestors, and from my own personal knowledge” (Book V, 24) give us great insight into the religious and secular life of early Britain. 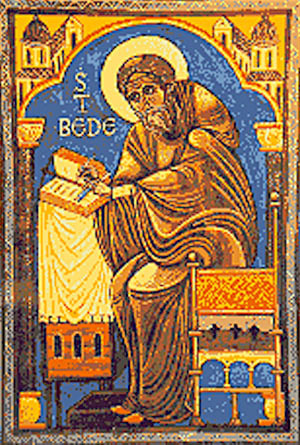 To read Saint Bede is to enter a world shaped by spiritual traditions very similar to those cherished by Orthodox Christians. These saints engage in the same heroic asceticism shown by saints in the East, and their holiness fills us with love and admiration. Christians were expected to fast on Wednesdays and Fridays, and there was a forty day Nativity Fast (Book IV, 30). 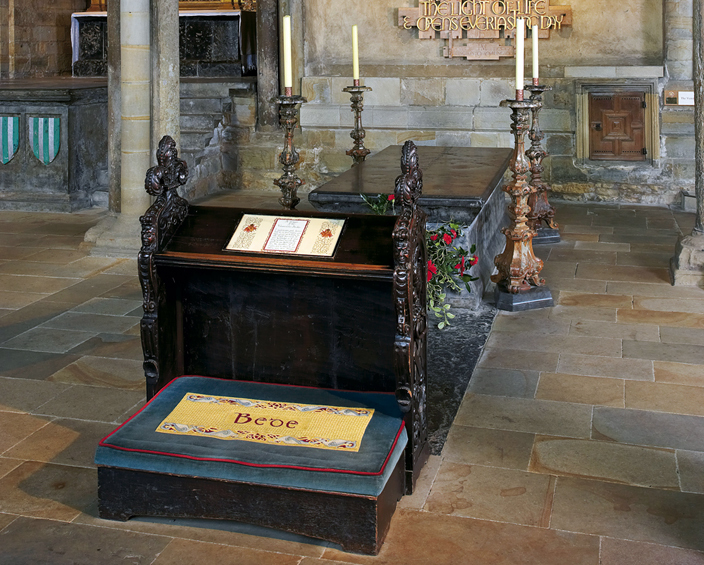 Although Saint Bede reposed on May 25, the eve of the Ascension, he is commemorated on the 27th, since the Feast of Saint Augustine of Canterbury is appointed for the 26th. His body was first buried in the south porch of the monastery church, then later transferred to a place near the altar. 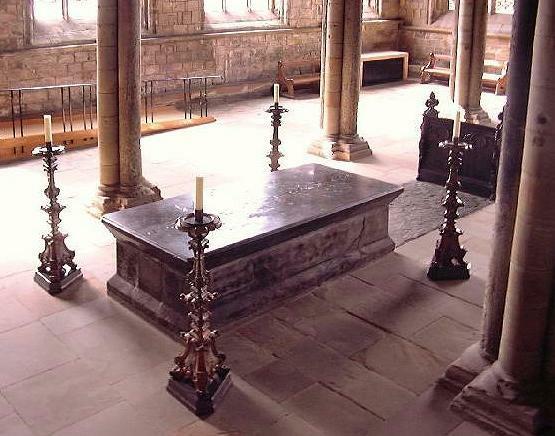 Today his holy relics lie in Durham Cathedral, in the Galilee chapel. 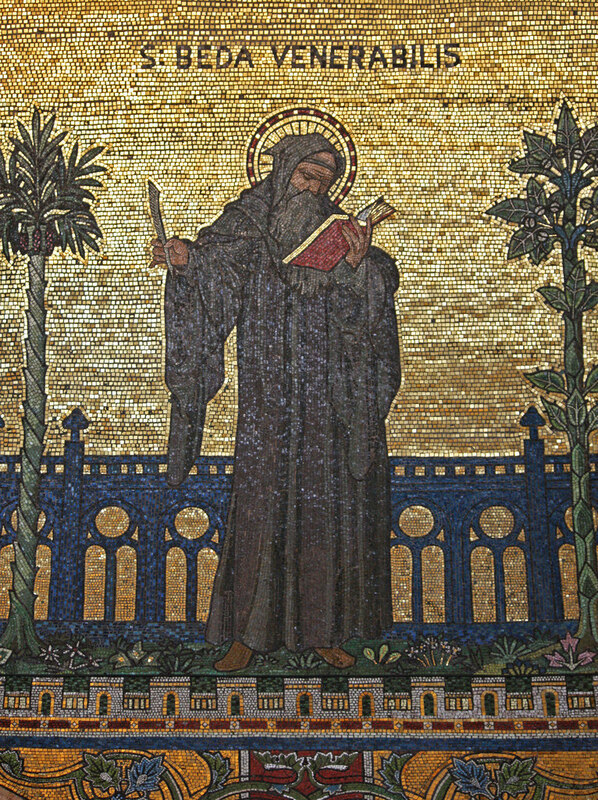 Saint Bede is the only Englishman mentioned by Dante in the Divine Comedy.